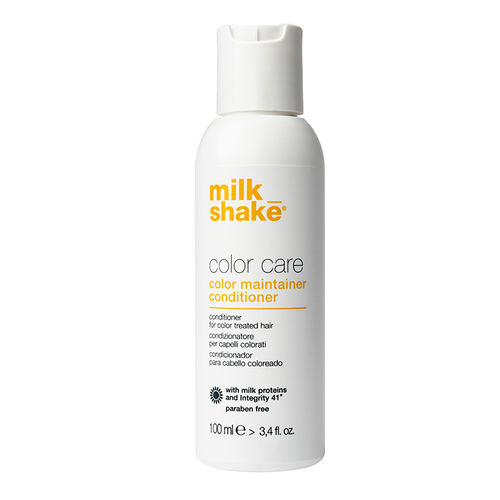 A hydrating, protective and detangling conditioner for colored hair. 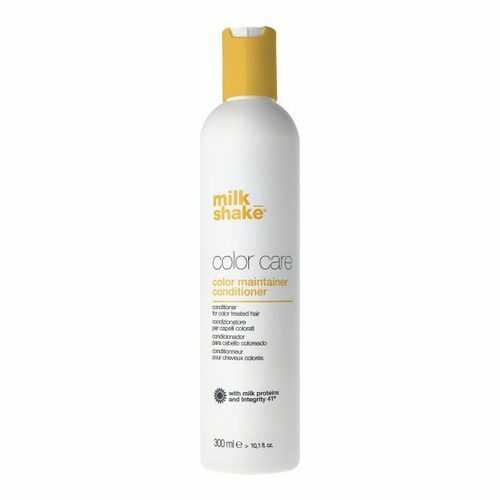 milk shake color maintainer conditioner conditions the hair, maintaining its optimum moisture balance and preserving color integrity. The milk-derived protein conditions and restructures the hair cortex and cuticle. 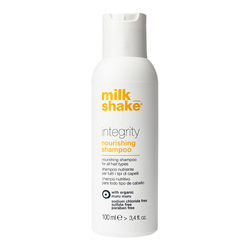 Special conditioning and hydrating agents soothe and condition scalp and hair, making hair easy to comb. z.one concept exclusive ingredient, Integrity 41, guarantees better and longer-lasting color. 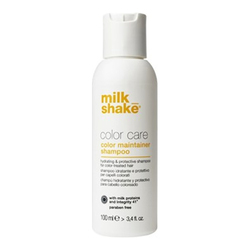 The conditioner has a pleasant fragrance of sweet milk and leaves hair shiny, soft and conditioned. Aqua (Water), Cetearyl Alcohol, Cetrimonium Chloride, Trymetylsilylamodimethicone, Parfum (Fragrance), Amodimethicone, Benzyl Alcohol, Trideceth-10, Butylene Glycol, Helianthus Annuus (Sunflower) Seed Oil, Citric Acid, PEG-5 Cocomonium Methosulfate, Sodium Glutamate, Hydrolyzed Milk Protein, Hydroxypropyltrimonium Hydrolyzed Casein, Methylchloroisothiazolinone, Sodium Cocoyl Glutamate, Hydroxypropyl Guar Hydroxypropyltrimonium Chloride, Methylisothiazolinone. 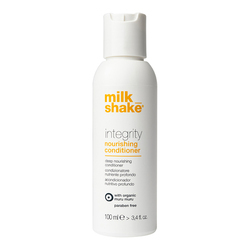 • Apply by massaging on clean and damp hair. • Comb and leave on for 2 to 5 minutes. • Finally add Glistening Argan Oil before styling for the ultimate shine.